This is the full and detailed views of the limited first edition slip case and book cover for Finding Moon, a novel featuring protagonist Moon Mathias and his Southeast Asian adventure. This edition was published in 1995 by HarperCollins Publishers in New York City, New York. 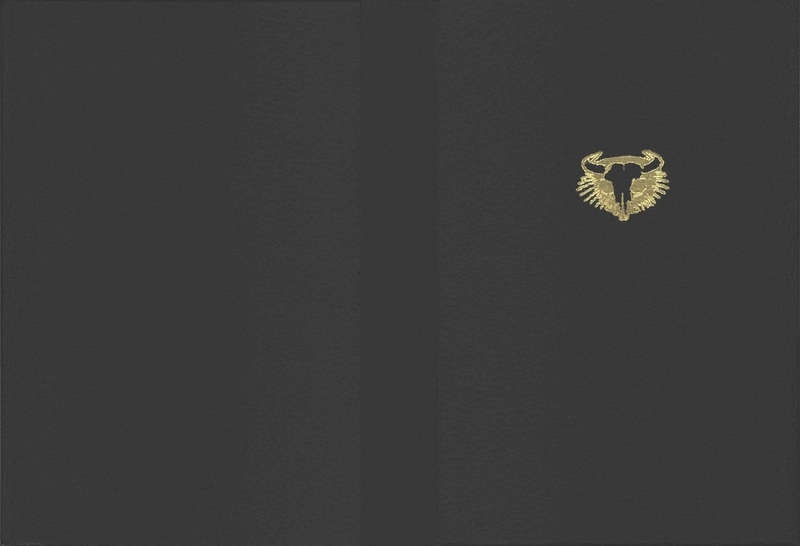 The slipcase is black leather-like material and features the image of a cattle skull surrounded by a golden halo. Design and Photography Credits: Cover art by Peter Thorpe. 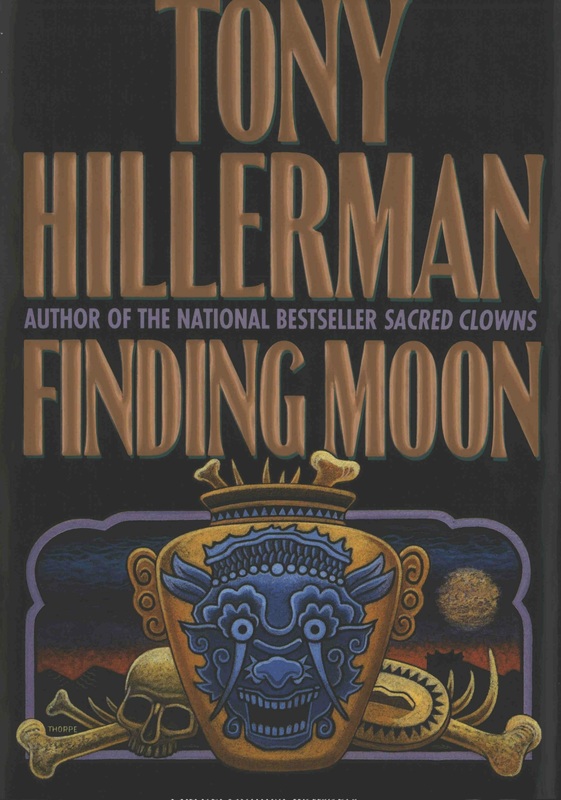 This cover is exactly the same as the cover for the first edition and features a narrow-necked handled ceramic jar with the image of a Asian inspired blue dragon head in the center. There are the bones of a human surrounding. Additionally, placed next to the jar is the lid. These images are reflective of a character who is supposedly searching for ancestral remains. This edition has front and back fold-outs. 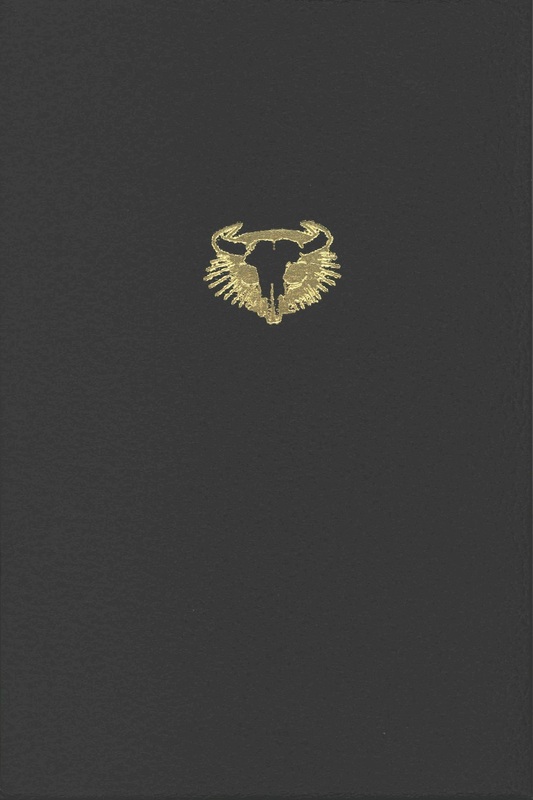 The front fold-out contains part of the synopsis of the novel and the back fold-out contains the remainder of the synopsis and a brief biography of Tony Hillerman.